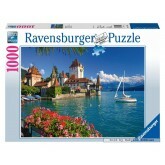 A 1000 pieces jigsaw puzzle made by Ravensburger (reference 191390). Size: 70 x 50 cm (= 27.6 x 19.7 inch). In stock and ready to ship out. 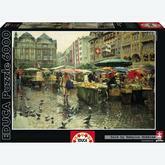 A 6000 pieces jigsaw puzzle made by Educa (reference 16024). 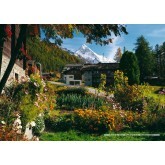 Size: 150 x 107 cm (= 59.1 x 42.1 inch).